﻿Five Colour Automatic Screen Printing Machine,designed to print onto latex balloons from 9” diameter to 16” diameter, capable of printing between one and five colours. The machine has a rated output of up to 1000 printed balloons per hour for 1 - 2 colour prints, lower speeds of around 750/hour on five colour printing. 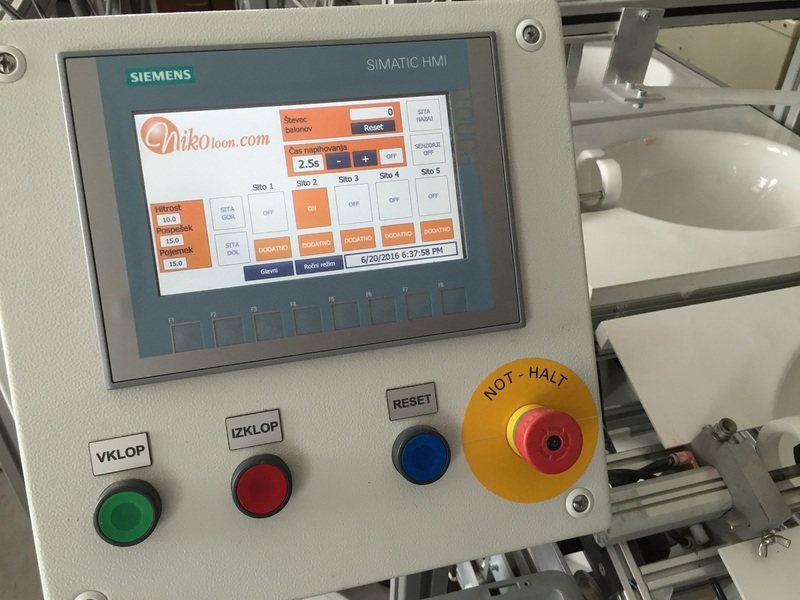 Print registration can be as low as +/-0.50mm (1.0mm total) dependent on balloon type/quality & print type, this level of precision will normally require slightly slower 4 and 5 colour printing. Balloons are manual loaded, then inflated, printed, fully dried, and removed automatically, with automatic removal. Very easy operating screen printing machine. The smallest and easiest to use in the world.. New machine computer system and best pneumatic equipment. SMC solenoid valves and manifolds feature low power consumption, high flow rates, quick response times and clean aesthetic designs. 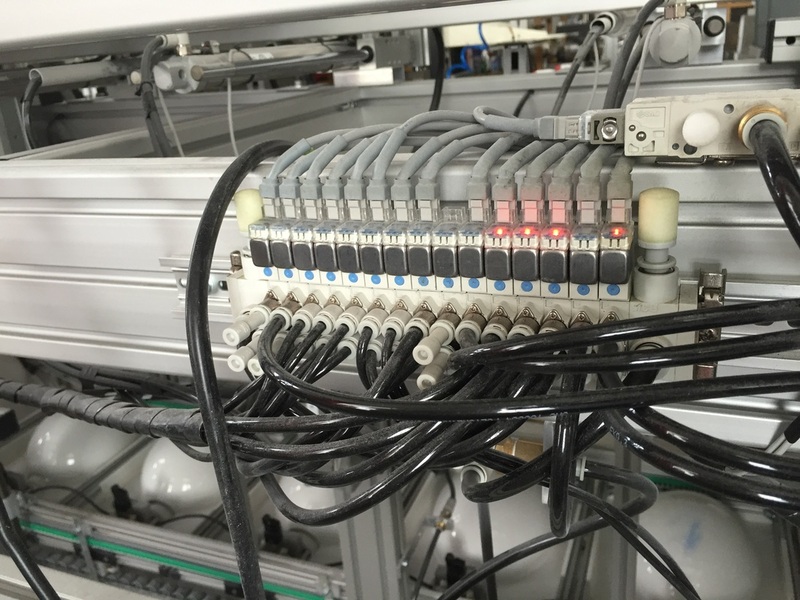 SIEMENS machine computer system for control all operations.